Sunrise Blvd. and Hazel Avenue South of Hwy 50. 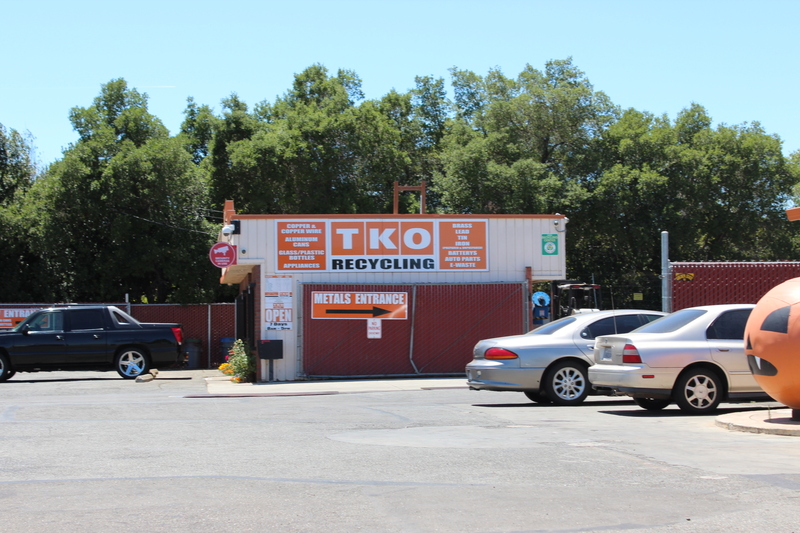 TKO Recycling Center in Rancho Cordova, can handle all of your recycling needs. Copper, Brass, Aluminum, Ferrous Metals, Tin, Prepared Iron, Unprepared Iron, Stainless Steel, Auto Batteries, Auto Parts, Motors, Insulated Wire, Cable, Radiators, Car Wheels, Electronic Motors, Fittings, Water Heaters, Appliances, Microwaves, Blenders, E-Waste. ALL TANKS AND BARRELS MUST BE CUT IN HALF! We do not take fluids, window glass, fabrics, rubber, or regular plastics. 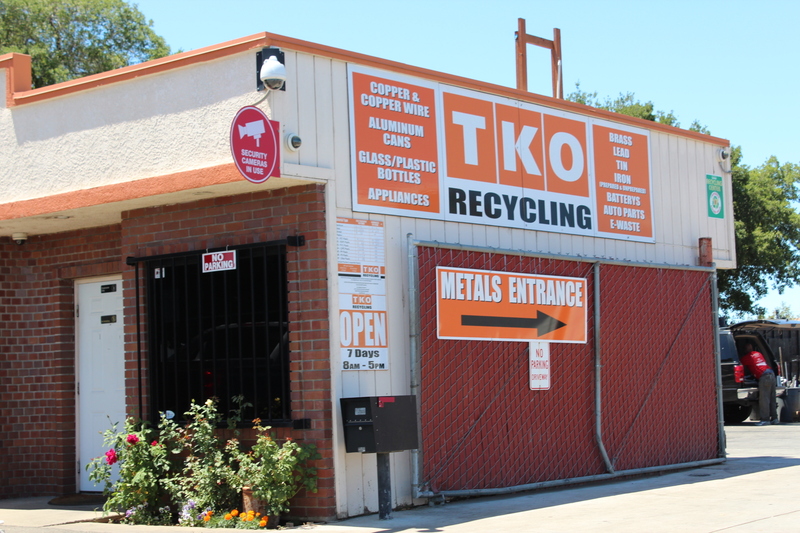 TKO Recycling understands the importance of being green and is committed to working with, and helping the community, schools and businesses become proactive about recycling, which is extremely economically and environmentally smart. TKO Recycling provides service to Sacramento and surrounding cities. TKO Recycling centers are open seven days per week for client convenience. Please come by and see us!! !